To have your own roof over your head is certainly a dream many of us have. The construction of a single-family home is for most people the largest lifetime investment. To go from a dream to reality often means navigating a stressful road of searching for the financial resources and estimating financial possibilities. The first question to ask yourself when deciding about an investment in a single-family house is whether your financial possibilities will suffice to the very end. Hardly anywhere can you expect to pay the entire cost from your own resources. Initially, you will have to figure out quite well what resources you have available and the level of monthly installments you are able to pay. Every creditor will be interested in a client’s creditworthiness. Your financial standing is considered adequate when, after the monthly installments are estimated, there still remains in the family budget a minimum of 1-2 times the family’s subsistence wage. To guarantee the loan, the construction plot and the building constructed on it are used. Sometimes, other real estate needs to be used as security or the loan has to be secured by another guarantor. 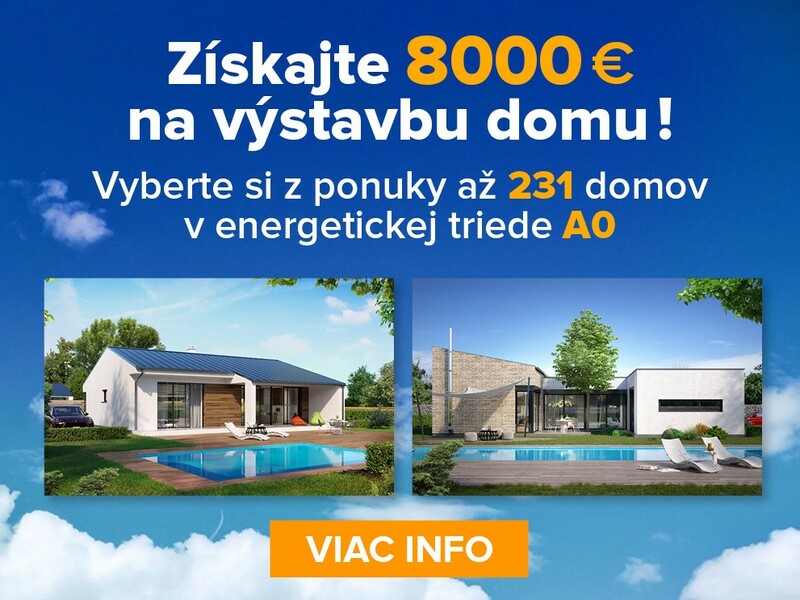 It must be borne in mind that financing does not end when you obtain a loan from a building society or the ŠFRB to build a home; regular monthly installments to repay the loan will begin to run over a period of several years. The first person to found a building society is considered to be Georg Krapp, who in 1921 initiated in Germany the establishment of an association who would start constructing single-family homes and apartments using contributions from its members. Due to the lack of money, apartments were at first assigned by lot, though once the idea of a building society began to become widespread, these savings accounts began to be offered by banks as the product we know about today. A building society is a special-purpose savings bank consisting of deposits received from members, loans extended to members and contributions (government support) to individuals. A building society member may be an individual or legal entity with a permanent address in the Slovak Republic. Building societies are regulated by Act No. 310/1992 Coll. By virtue of the above law, there are three banks providing building society savings accounts which are licensed to offer “Building Society” products; in other words three building societies in Slovakia. More information, including how to enter into an agreement on a building society savings account, can be found on the websites of the companies below. 3.ČSOB - Stavebná sporiteľňa, a.s.
A mortgage is a loan that has been extended to invest into real estate within the Slovak Republic and is secured by a lien on the real estate. An investment in real estate is understood to be the purchase of real estate or a part thereof in Slovakia, construction of new property or the reconstruction of buildings, maintenance of buildings, repayment of a loan provided earlier or obtaining a share of the title to real estate. A single-family home, apartment where the person has title (not the transfer of the person’s interest in a cooperative of apartments), cabin, residential unit, commercial building, construction plot (under certain circumstances) and any other business premises and simple structures can be mortgaged. Mortgages are provided by banks, under Act No. 483/2001 Coll. on Banks, who are specifically licensed to issue mortgage debentures, according to laws regarding bonds. A mortgage cannot as yet be provided on movable objects such as automobiles, furniture, electro-technical appliances and others. The principal in a mortgage must submit the necessary documents, in particular: evidence of his/her income, a construction permit, design documentation, itemized construction budget, extract from the Real Estate Registry, expert appraisal of the real estate being pledged as security and either a pledge over insurance for this real estate in favor of the bank or a pledge over life insurance. Requested documents may vary based on both the individual client and the bank. The general terms and conditions for providing a mortgage are to secure real estate which is not encumbered. Mortgages are repaid over 4-30 years. The longer the period until the mortgage is paid off, the lower the monthly installments are. The optimal period for repaying a mortgage is about 15 years, where the ratio of monthly installments to the return on the mortgage is the best. In accordance with the government’s housing policy, the State Housing Development Fund (Štátny fond rozvoja bývania –ŠFRB) was established, among other things, to promote the construction of new houses and apartments by extending loans. Any applicant for a loan from the State Housing Development Fund has to meet several conditions such as maximum and also minimum household income. An applicant whose income is higher than the maximum defined household income will not receive a loan and likewise any applicant whose income is lower than the minimum, where no sufficient securing of the liability is expected. A loan applicant submits a written application. In deciding whether to provide assistance, the Fund proceeds in the order the applications are received and, after all conditions have been met, will provide a loan of up to the total amount appropriated annually for this purpose in the government’s budget. There is no legal obligation for assistance to be provided by the fund. If a loan is not extended by the development fund, the applicant will be informed of this fact with 30 days. The terms and conditions for support to be provided by the State Housing Development Fund are addressed in legislation: Act No. 124/1996 Coll. as amended by Act Nos. 1/1997 Coll., 76/2000 Coll., 148/2001 Coll. Detailed information, such as the conditions for obtaining assistance and the contents of both the application and printed form, can be found at the State Housing Development Fund’s website at:www.sfrb.sk. The financial market has a range of quotes for financing housing, whether in the area of mortgages or building societies. Within the government’s policy for housing development, lower income families can receive a favorable loan from the State Housing Development Fund (ŠFRB). Higher income families usually receive a combination of what they have saved in a building society along with the construction co-financed with a mortgage. For lower income families, this is usually a combination of the above. ŠFRB loans are intended for smaller family houses with up to 160 m2 floor space and apartments up to 80 m2. A bank may extend a loan up to 70% of the usual price, where the credit received must be secured by the real estate to 143% of its value.